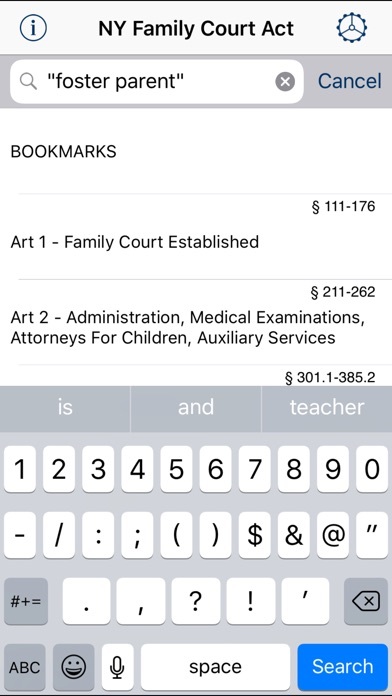 This application provides the full text of the New York Family Court Act in an easily readable and searchable format for your iPad, iPhone or iPod Touch. 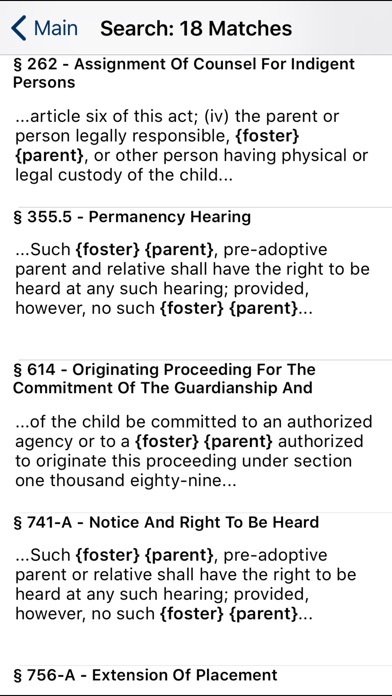 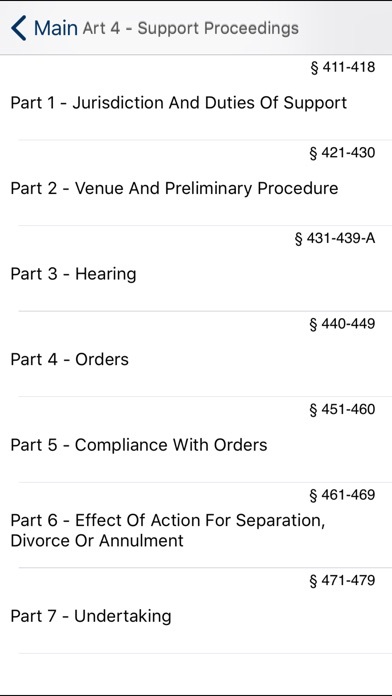 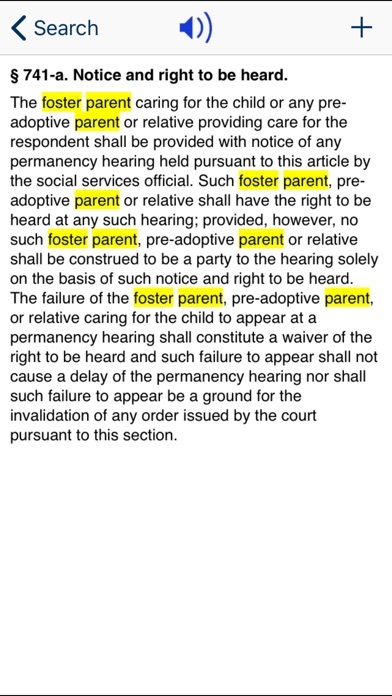 Product Features: - The full text of the New York Family Court Act - Real-time section number search - Fast "google style" full-text search to quickly find sections of interest - Search within search results to narrow down matches - Print* or Email Sections of the Act - Read sections of the code aloud - No network connection required - Very efficient - runs fast, and uses little memory - Read the Family Court Act in Portrait or Landscape mode * Printing support requires an airprint compatible printer No network connection is required to use this program. 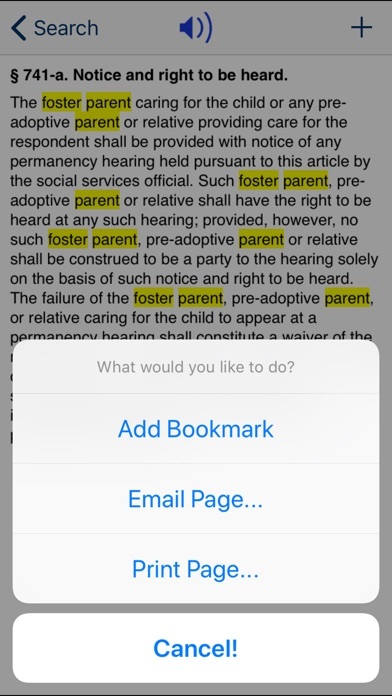 The full text of the Family Court Act will be stored on your iPad, iPhone or iPod Touch.